Established in 1981, FirCrest Developments is one of Vancouver’s top custom home builders and light commercial contractors. More than three decades in the industry has earned FirCrest a reputation synonymous with quality. We emphasize transparency and communication in addition to exceptional care and craftsmanship. Our talented team of in-house professionals take your build from conception to completion, approaching every project as if it was our own. Our mission is to create environments where lasting memories can be made and progressive business can be conducted. We also aim to help pioneer new building standards for the future that promote environmental sustainability, detail-oriented design and general efficiency. Through construction of the finest quality residential and commercial properties, we strive to exceed our clients’ expectations and overall satisfaction. Looking to build your fantasy abode? We offer new construction services using traditional, custom-framing, and timber frame composition, supplying all the expert craftsmanship and attention to detail that truly make a house, a home. If you’re looking to build for a franchise expansion or new location for your business, look no further. We construct small to medium-sized commercial structures that include restaurants, mini-malls, and municipal projects. All of our projects are backed by a $5 million commercial insurance policy. Could your space use an upgrade? We renovate kitchens, bathrooms, and can construct additions on your current home, if you desire more square footage. We can also breathe new life into heritage buildings, keeping budget and timeliness in mind at all times. Need to accommodate new requirements or priorities on your commercial or industrial property? Whether it’s floors, partitions, stairs, mezzanines, offices or seismic upgrades, we have the ingenuity to overhaul your location with the transparency and communication you’d expect. Everything truly magnificent has always had one trait in common: being built upon a strong foundation. That’s precisely why we offer residential, commercial, industrial, and architectural concrete services, carrying WorkSafeBC coverage on all of our projects. Have a project in mind that doesn’t seem to fit into any other service category listed? We embrace the challenge of unique projects and approach them with the same dedication to quality as we do our other services. As Owner, Jack oversees all aspects of the business. With over 35 years of practical experience in the construction industry, Jack possesses invaluable skills in construction technology. His attention to detail and clear communication with clients throughout the building process translates into projects that are efficiently managed from commencement to completion. In his spare time, Jack enjoys getting outdoors and engaging in activities such as hiking, kayaking, and playing golf. Mike is responsible for the day-to-day management of projects, ensuring quality and timeliness along the way. 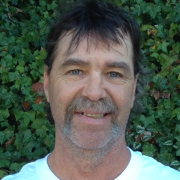 With over three decades in the construction industry, Mike has extensive knowledge in estimating, blueprint reading, concrete formwork, and framing. With a keen eye for improving the functionality and aesthetic of a space, Mike has successfully managed countless residential and commercial projects. In his free time, Mike can often be found cheering on his beloved Vancouver Canucks. Dan is responsible for all of FirCrest Developments’ marketing activities. 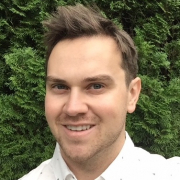 He holds a BBA from the University of the Fraser Valley as well as certifications in social advertising and social marketing. With a background in brand development through social media, digital ads and SEO, Dan has helped FirCrest Developments emerge as a leader in the construction industry. If you’re interested in sharing your experience with FirCrest by way of reviews or testimonials, feel free to contact Dan. As a structural engineer, my company provides many services including, residential, commercial, institutional, and industrial projects for a wide range of clients. In 2010, after hearing a positive review about FirCrest Developments, I decided to contact them for a retaining structure project in Coquitlam. Their level of professionalism impressed me (always on time), and they had an expert level knowledge, regarding building codes and municipal permits to get the job done right and on schedule. Today, I can proudly say I’ve worked with FirCrest Developments on multiple ventures; if anyone is looking for a general contracting company that delivers in service abilities and has rock-solid values, look no further than FirCrest Developments. In 2012, I was looking to have a home built for my wife and myself in West Vancouver. Whilst searching for a reputable construction company, I met Jack Gibson, Owner of FirCrest Developments. He was building three houses in my neighbourhood; I spoke to all three homeowners and they all recommended FirCrest Developments very highly to me. I proceeded to hire FirCrest, making a detailed contract and everything went extremely well. They completed construction on time and on budget. The highly skilled, professional working crew displayed good manners and created an excellent working environment for everyone. I strongly recommend FirCrest Developments to my friends and anybody else looking to have work done. FirCrest Developments was recommended to us by our structural engineer to construct a new retaining wall to replace the failed existing one. Ultimately we chose Jack Gibson because he was able to lay out the requirements for the wall with a comprehensive quote detailing all aspects of the construction process. We were kept informed of all processes involved in the construction. Challenges were overcome by Jack’s vast experience in construction to use other options when necessary like the placement of the concrete pumper truck to minimize traffic obstructions. We would highly recommend FirCrest Developments given the finished product clearly shows the precise workmanship put into it. I hired FirCrest Developments to construct a large home in West Vancouver for us. Working with Jack and his crew proved to be an excellent experience. Every day, the crew arrived on time and performed their tasks with diligence, efficiency and an excellent level of expertise. Jack instills very good work ethics in his crew and I found them all to be polite, professional and hard workers; the project finished on time and on budget. I do not hesitate to recommend FirCrest to my friends because I know they deliver all required services with integrity and efficiency. Our organization chose FirCrest Developments to handle an emergency situation. When our initial contractor dropped the ball on the construction of our new hiking centre located in Pacific Spirit Park, near UBC, FirCrest saved the day! Our project was completed professionally, on time, with quality that easily met all building standards and accessibility requirements. Because he and his crew were able to communicate effectively and quickly turn a negative situation into a very positive outcome, I would highly recommend the services of Jack Gibson and FirCrest Developments. Want to get started on your project? Click for a free estimate below and let your vision take root. Do you have a question we can help answer? Just send us an email or feel free to give us a call and connect with us!